Saxophonist, Multi-Reedist, Composer, Bandleader, Recording Artist and Educator Sharel Cassity (pron.“Sha-Relle”) is a distinguished musician on the New York jazz scene where she resided for 16 years. Listed as “Rising Star Alto Saxophone” in Downbeat Magazine for the past 8 consecutive years & having earned her Masters from The Juilliard School on full scholarship, Sharel has won the 2007 ASCAP Young Jazz Composers Award & was inducted into the Oklahoma Jazz Hall of Fame in 2010. 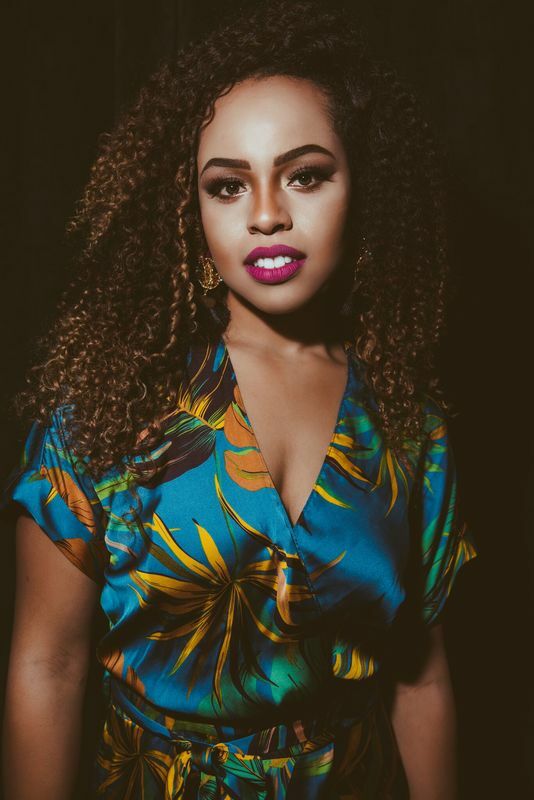 ​Known for her fiery and soulful style of improvising & her expert ensemble skills, Sharel is a versatile sideman having performed regularly alongside renowned artists Roy Hargrove, Lewis Nash, Joe Chambers & Darcy James Argue. Currently a regular member of the Dizzy Gillespie Big Band, Dizzy Gillespie Afro Cuban Experience, Nicholas Payton’s TSO, Cyrus Chestnut’s Brubeck Quartet and the Jimmy Heath Big Band, Sharel has toured 24 countries and performed at leading venues like the Newport Jazz Festival, Monterey Jazz Festival & the North Sea Jazz Festival. Sharel was lead alto in the Diva Jazz Orchestra from 2007-2014 and performed in the Broadway musical After Midnight as well as Maurice Hines’ Off-Broadway production, Tappin’ Through Life. Other jazz luminaries she has performed with include Herbie Hancock, Wynton Marsalis, Dee Dee Bridgewater, Natalie Cole, Christian McBride, Gregory Porter, James Moody, Clark Terry, Phil Woods, Slide Hampton, Maceo Parker and Terrence Blanchard. In mainstream genres Sharel has recorded with Top 40 hit singer-songwriter Natalie Merchant on her 2015 CD/ DVD release and also joined her band on the Today Show. Additional popular artists she has performed with are Aretha Franklin, Vanessa Williams, K.D. Lang, Fantasia, Trisha Yearwood, Seth MacFarland (Family Guy), Ruben Blades & DJ Logic. Sharel can be seen in an ESPN Superbowl commercial in 2013 and appears in the PBS Television Broadcast “Juilliard Centennial Celebration”. As a bandleader and solo artist Sharel leads her own projects, ELEKTRA and the SHAREL CASSITY QUARTET. She has led these groups at renowned venues like the DC Jazz Festival, Winter Jazzfest, Blue Note Jazz Festival, Mary Lou Williams Jazz Festival, Monty Alexander Jazz Festival, Mid-Atlantic Jazz Festival, Martha’s Vineyard, The Kennedy Center, The Smithsonian Museum of the American Indian, Blue Note Jazz Club, Dizzy’s Club Coca-Cola, Birdland, Smalls Jazz Club, Smoke Jazz, the Jazz Showcase and more. She also took her quintet on a 5 city tour of Mexico in 2016. 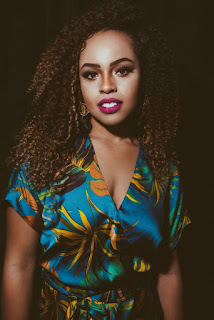 Sharel’s most recent project and 4th release as leader, Evolve, is her debut recording with her band ELEKTRA and will be released on her label Relsha Music. This album is a jazz mix-genre project with a cast of top NYC musicians, featuring a collection of artful originals and reimagined compositions by Alicia Keys & Bjork. On this album Cassity confronts the evolution of music, her own personal and artistic evolution and a push for evolution of the current social climate (race & gender) in the United States. Her former releases, Just for You, (DW 2008), Relentless (Jazz Legacy Productions, 2009) & Manhattan Romance (Venus Japan 2014) established her both internationally and throughout North America having stellar bands and receiving top rated reviews in JazzTimes, Jazziz and Downbeat. Relentless was played on over 100 radio stations and was on the Jazzweek charts for 32 consecutive weeks. Sharel has been included in 3 jazz publications, “I Walked with Giants” by Jimmy Heath, “AM Jazz: Three Generations under the Lens” by Adrianna Mateo and “Freedom of Expression: Interviews with Women in Jazz” by Chris Becker. 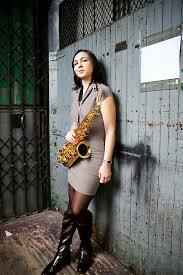 Additionally she has been featured on the cover of Saxophone Journal & featured in the American Indian News magazine. Sharel is an alum of audition based programs IAJE Sisters in Jazz, Betty Carter’s Jazz Ahead, Ravinia at Steans Institute & received numerous Downbeat Student Music Awards in both the “Composition” and “Ensemble Performance” categories. In addition to performing, Sharel has always been passionate about teaching and inspiring future generations of musicians. Cassity currently is a Professor of Saxophone and Piano at Elgin Community College in Elgin, Illinois. Between 2016-17 Sharel served abroad as the Woodwind Professor at Qatar Music Academy in Doha, Qatar. Students from her private studio have won scholarships to the Hartt School of Music and placement in Jazz for Teens, Jazz House Kids and the Jazz Standard Youth Orchestra. She has taught internationally in Japan, Costa Rica, Mexico, China and Qatar and has given numerous clinics about the saxophone, jazz language, rhythm, harmony and music business. Starting her musical journey at the age of 6 as a classical pianist & quickly winning state level competitions by the age of 8, she went on to win numerous awards on a national level--eventually placing in the Disney International Piano Concerto Competition at age 11. Receiving her first saxophone at the age of 9, Sharel was classically trained in the French school of saxophone by a descendant of classical saxophonist Eugene Rousseau. Later at Yukon High School in Yukon, Oklahoma Sharel added flute, clarinet & piccolo to her arsenal and performed in the school jazz, marching and symphonic bands. While in high school she was the recipient of the John Philip Sousa Award and earned a position in both Oklahoma All State Jazz and All State Concert bands for 3 consecutive years. Afterwards she attended the University of Central Oklahoma Jazz Program for 2 years before transferring to NYC to complete her BFA at The New School for Jazz & Contemporary Music. Moving frequently throughout her childhood , Sharel’s family eventually settled in Yukon, Oklahoma where she graduated high school. In 2000 she moved to New York City where she resided for 16 years, earning her degrees while thriving on the NYC jazz scene. She recently relocated to the Chicago area with her husband and son. Sharel is proud to be a Vandoren Performing Artist, RS Berkeley Virtuoso Saxophone Artist and AMT Microphone Artist.